On the Occasion of National day of Pakistan, Pakistan Association of Australia arranged a exclusive event at Himalaya Emporium, Bankstown Sydney. The function was held on Sunday, 26th March 2017. The High Commissioner of Pakistan Her Excellency Naela Chohan was Chief Guest. 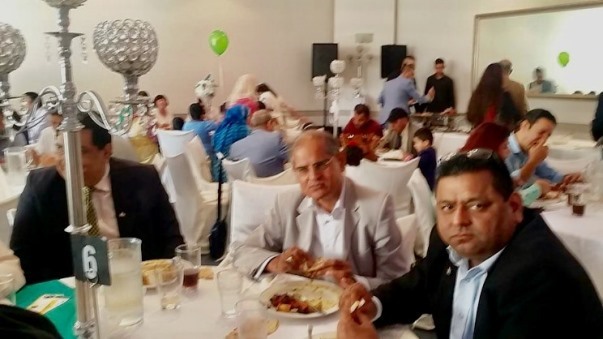 The function was attended by a large majority of Pakistani community and members of Parliament. and his elder Son Ali Jee. Pakistan Association’s Cultural Secretary Raja Taseer was MC. The official ceremony started with National Anthems of Australia and Pakistan by Mehreen Javed. Australian Parliamentarians congratulates on Pakistan day and expressed their best wishes for Pakistani people and Government. The Consul General of Pakistan in Sydney Mr. Abdul Majid Yousfani appreciates positive role of Australian Pakistani community and PAA. This year Pakistan Association again presented awards to the intelligent students, PAA office bearers and professional of different fields. President Pakistan Association Mr Abbas Rana briefly expressed his views about the achievements of his team during the last 2 years. He said that we work hard with limited resources and hope everyone will assist us for promoting soft image of Pakistan in Australia. Chief Guest H.E. Naela Chohan congratulates PAA for arranging a wonderful function on the National day of Pakistan. She said that we are gathered in Sydney to mark the 77th Pakistan Day that pays tribute to father of the nation Mohammad Ali Jinnah and those who sacrificed their lives for a separate homeland for Muslims. Her Excellency Naela Chohan briefed about the steps taken by the Present government to address the issues of terrorism and extremism, eliminate power shortages, upgrade the road and railway network, education and health infrastructure ushering a new era of development and prosperity. The High Commissioner Naela Chohan thanked the Pakistani community in Australia for their constructive role in projecting Pakistan’s positive image. She said that while our forefathers gave sacrifices to attain a homeland for us, it is our collective responsibility to make Pakistan a strong, peace loving and prosperous country for our future generations. Her Excellency Naela Chohan specifically mentioned the role of Pakistan’s security forces and the sacrifices they made in riding the country of the menace of terrorism and extremism. 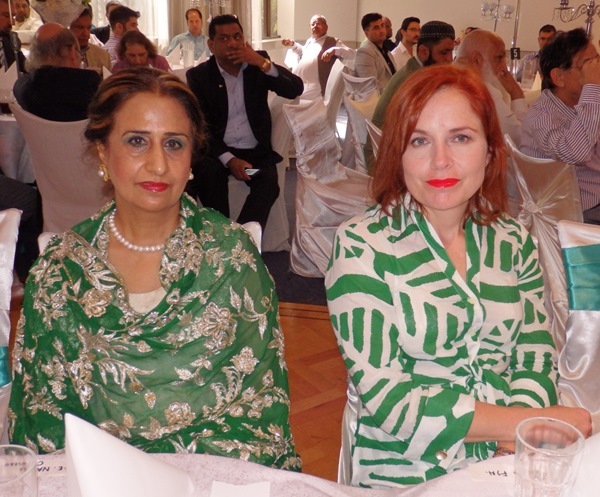 High Commissioner Naela Chohan highlighted the importance of the Pakistan-Australia relationship and said that both countries share the dream of development, peace, security in the region and Australia providing assistance to Pakistan in different fields.